We are absolutely delighted by Martin's extremely generous donation of one of his paintings for the Delamore Raffle prize this year. All the proceeds of which go to support this years Charity which is Children's Hospice South West. Self taught, full time artist Martin is based on Dartmoor and is a member of the South West Academy of Fine and Applied Art (SWAc). 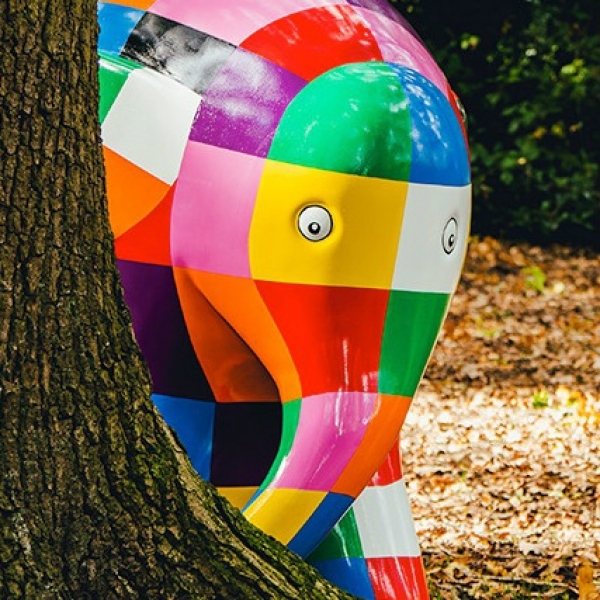 St Lukes are looking for Artists to paint their Elephants for an outside Art trail in Plymouth during the Summer 2019. Delamore Arts is delighted to welcome back the South West Academy for its third year and in its new location in the Stables Gallery. 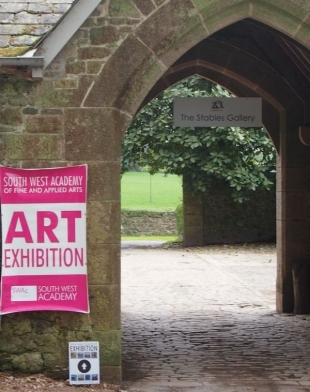 Formed in 2000, the South West Academy of Fine and Applied Art is the principal regional Academy whose membership is well known nationally and internationally. 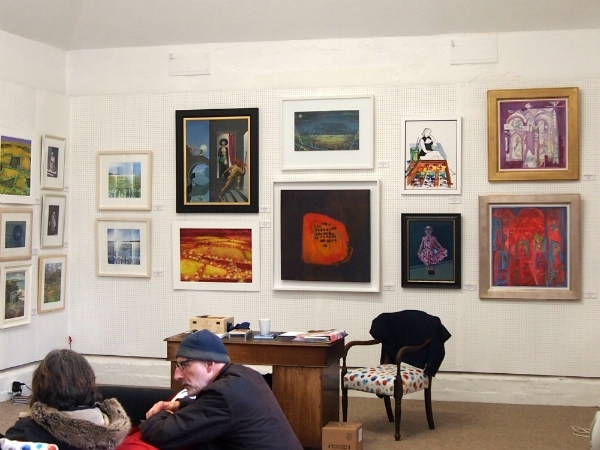 The Academy’s exhibition programme begins each year at The Thelma Hulbert Gallery, Honiton, named after Thelma Hulbert, successful painter and friend of Victor Pasmore who lived in Elmfield House during the 1980s. In 1998 the house re-opened as a public art gallery hosting a programme of contemporary art and craft exhibitions alongside a permanent collection of Thelma Hulbert's work. 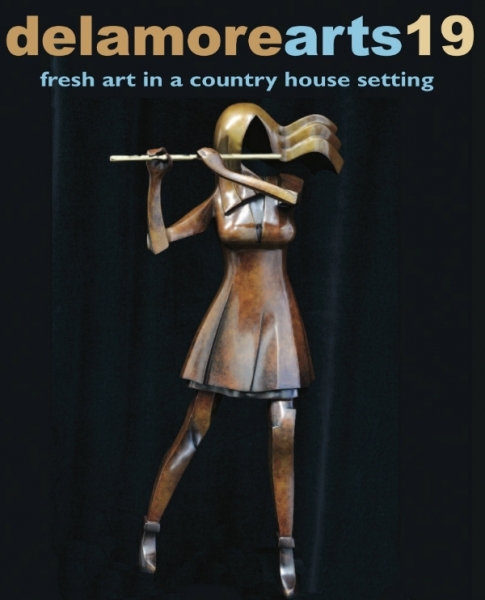 During the whole of May, both Academicians and Associate Academicians, exhibit their paintings, sculpture, prints and photographs at Delamore, this year showing in the new Stables Gallery situated not far from the main house and reached through a pleasant stroll via the gardens. 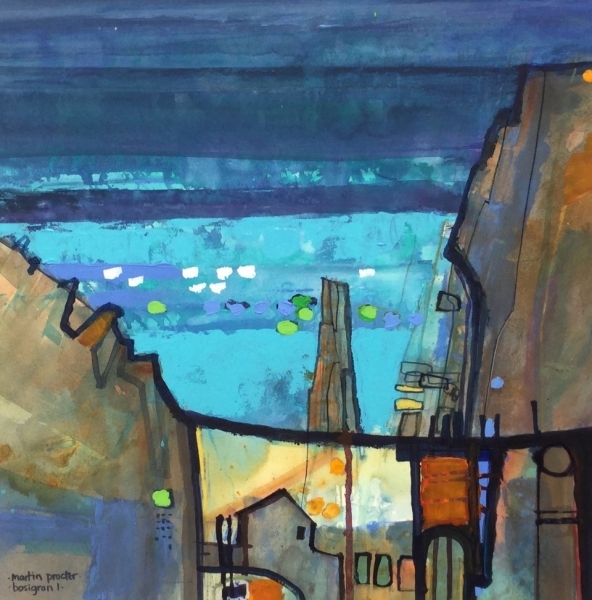 After two consecutive years, the Academy now holds its Open Exhibition at Exeter Castle each autumn, the 2017 Open Exhibition attracting double the number of entries from artists from across the south-west and beyond and attended by well over 1300 visitors. Since 2016, SWAc has shared its work with a wider geographical audience and it was delighted to exhibit at Sherborne Abbey, Dorset that year. 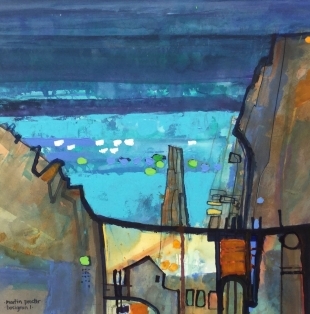 Then, in 2017, The Academicians’ took their work to St Ives, Cornwall, showing at The Penwith Gallery, founded in 1949 by Barbara Hepworth, Ben Nicholson and Bernard Leach. This proved to be a very well received and popular exhibition establishing The South West Academy’s reputation in Cornwall in addition to Dorset and Somerset, and to complement our profile across Devon. With the Academy’s annual programme in place and a new, enhanced profile in the region, the Trustees have been able to secure The Academy’s financial position and have been able to invest in the Arts locally and support worthy charities. In 2016 a charity auction of small works donated by SWAc members was held at St Stephen’s Church, Exeter. The proceeds of the auction were donated to The Alzheimer Society UK and Home Start, Exeter a charity for children and families. Another major ambition for The Academy is to reaffirm commitment to art and design for young people.. As well as continuing with our Lionel Aggett Young Artist Award at the annual Open Exhibition, the Academy will also be working in partnership with Young Art Devon to support young artists’ exhibitions and to actively encourage and reward art teachers and art departments in local schools and colleges. Alliance group, and workshop demonstrations of particular skills and techniques. Details of this work can be found on the Academy’s website: www.southwestacademy.org.uk, along with the future exhibition programme; short films of past exhibitions, and current news from, and about, members. Access to the Academy’s Face Book and Twitter can also be found on the website. 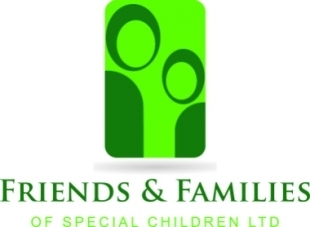 2018's supported Charity Friends and Families of Special Children is a local charity that supports families with children who experience all forms of disabilities in Plymouth and the surrounding areas including Ivybridge and South Brent. We are unique in that we support every member of the family through our services which include inclusive activity days, an equipment lending library and a disability information and advice service that helps parents with forms such as DLA.